Yesterday, my husband was reading the online edition of the Washington Post. 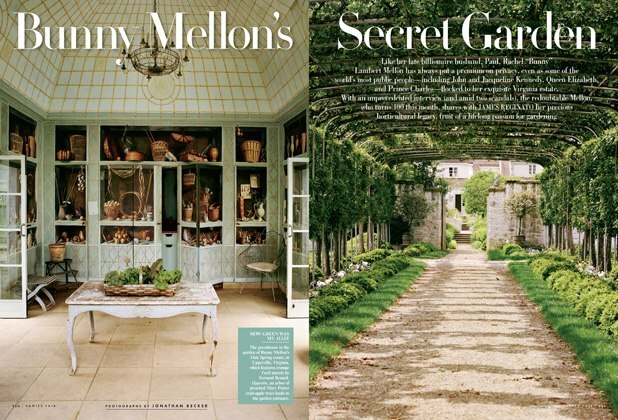 He mentioned that Bunny Mellon had passed away at her estate in Upperville, Virigina. Over her 103 years, she created some of the most iconic designs in the United States. She was the master of good taste, making every detail of her design look natural, timeless and never overdone. Jackie Kennedy Onassis called on her many occasions for advice with her own homes including the White House. The two established a lifelong friendship. Rachel “Bunny” Lowe Lambert Lloyd Mellon was nicknamed “Bunny” at an earlier age. She was born in 1910 and lived to be one of the greatest philanthropist of all times. 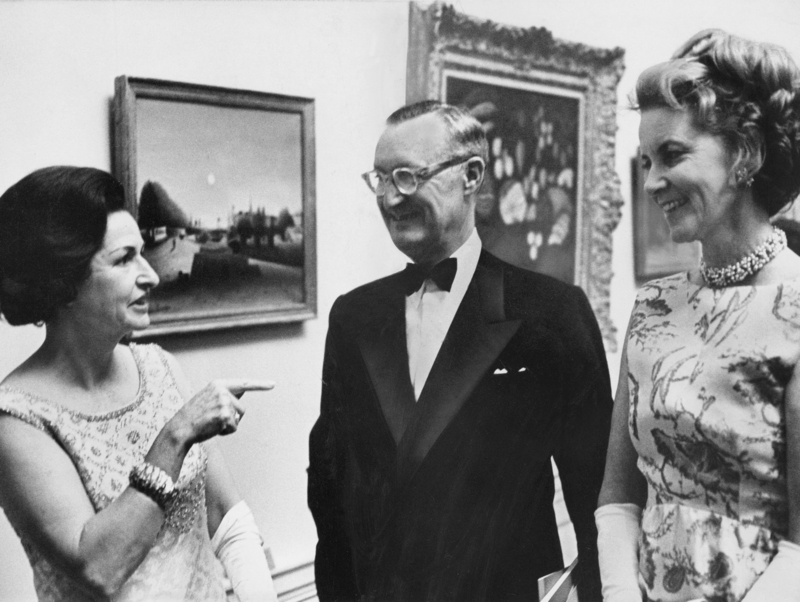 She was an heiress to the Listerine fortune and married Paul Mellon, himself an heir to the Mellon banking dynasty, and the two became known for all of their art collecting and philanthropy. They donated all the funds to build the I.M. Pei-designed East building of the National Art Gallery, which is free to all tourists who visit the museum (Paul’s father Andrew donated much of the money to construct the West Wing of the National Gallery in the 1930’s). They gave more than 1000 works from their collection to the National Gallery. 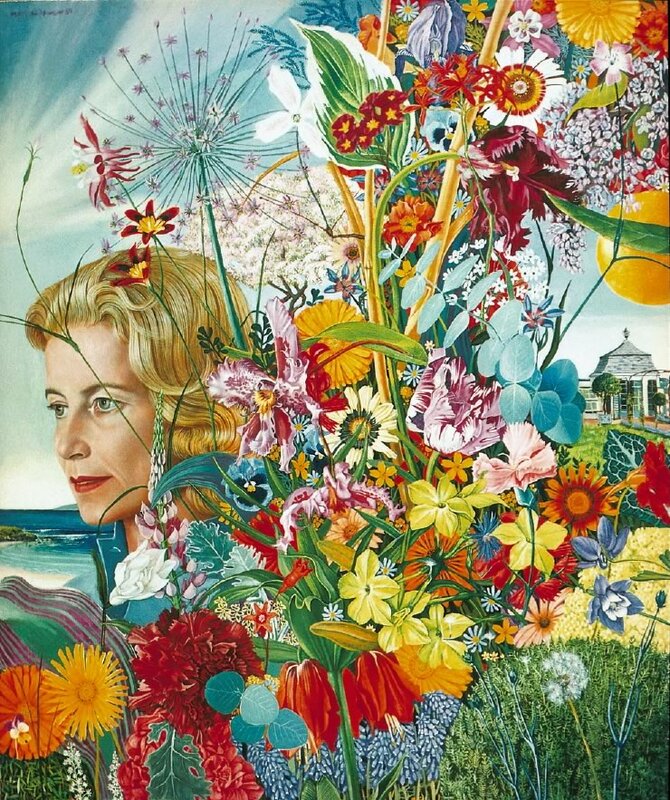 She also was an amazing horticulturist and landscape designer. At the age of six she started gardening, which became her life long passion. They spent most of their time at their 4000-acre Oak Spring Estate located in Virginia’s horse country 45 minutes away from DC. The estate has a garden library with many rare books collected on gardening, landscape design, horticulture and travels by the two. Bunny’s sense of style was “less is best,” which makes her an icon in my book. She would display her collections without making one feel they were living in a museum. We will forever be grateful to her and her husband for all of their contributions. 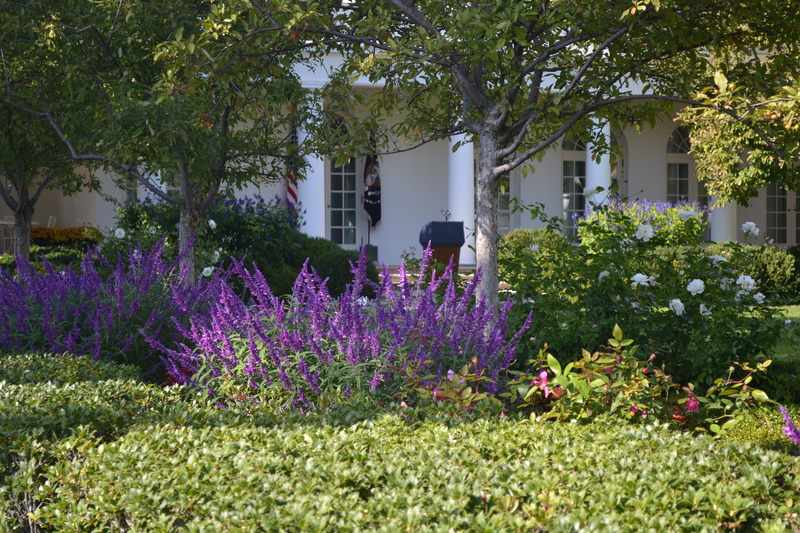 One of her greatest works was to redesign the Rose Garden at The White House during the Kennedy administration, a classic design that still stands today. This past fall I had the opportunity to see the garden and it truly is a work of art. 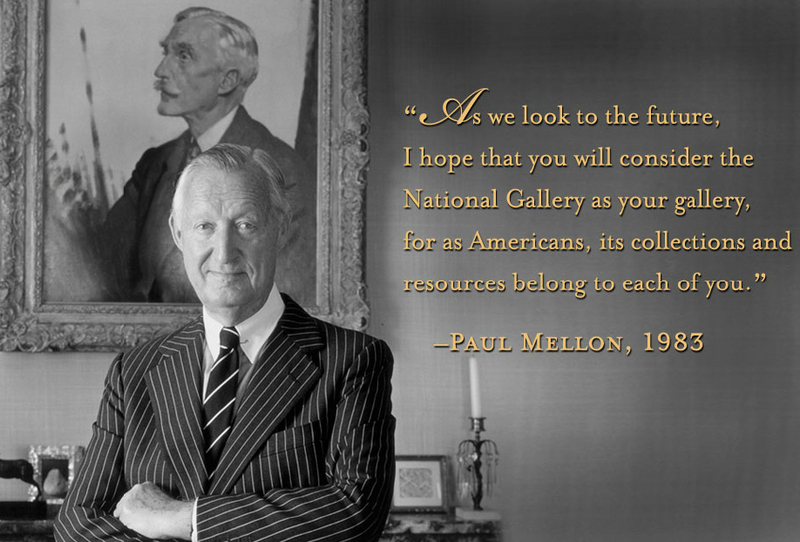 Thank you to Bunny and Paul Mellon. You’ve made it possible for all to stop and enjoy the beauty of so many collections. 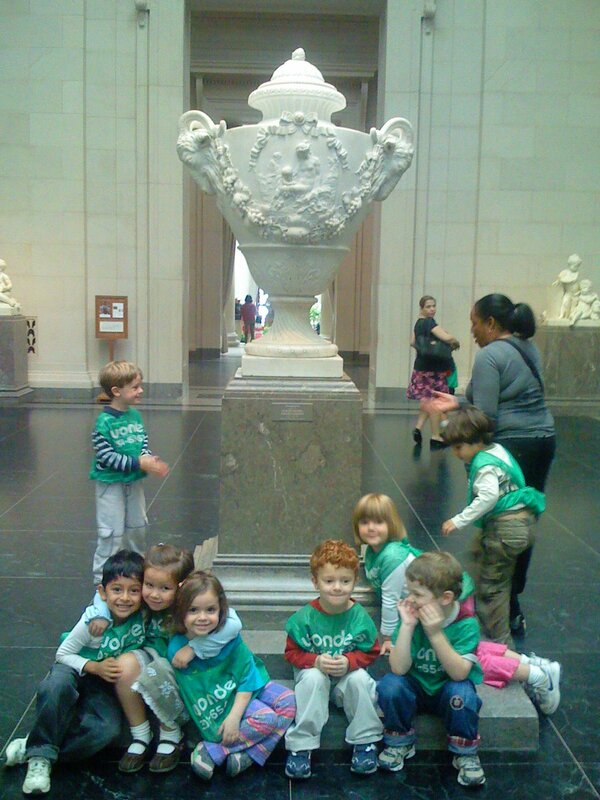 I’ll never forget chaperoning a field trip for my daughter’s preschool class at the National Gallery. They were in awe of what they saw.